So, you’re considering buying a caravan? This may have been something that you have been mulling over for a while, or perhaps you have recently discovered the joys of a caravanning holiday? 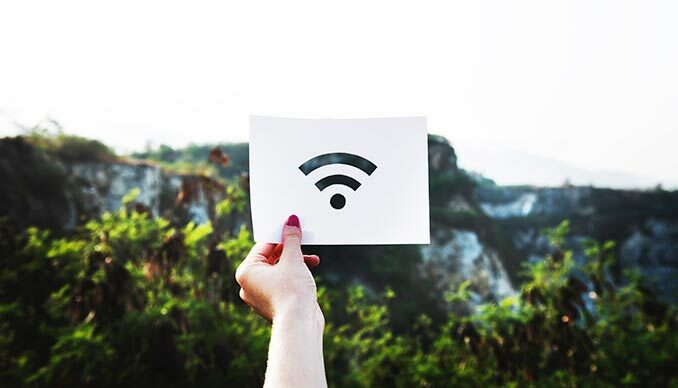 For many getting away from the humdrum of normal life is a must every so often and what better way than to hook up the Caravan to a car and head off on the highway, but that doesn't mean you have to be without access to the internet when on the road. 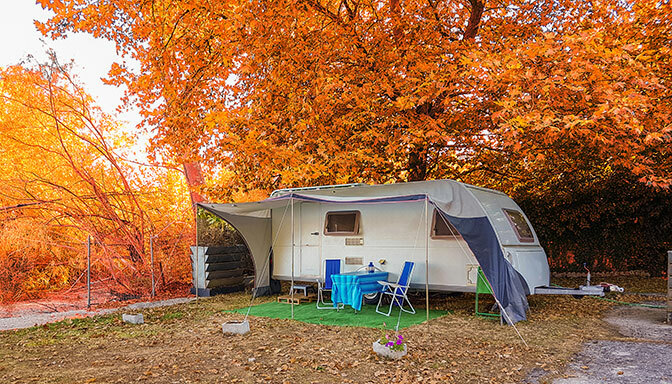 With the summer fading away, you may be starting to think about safely ‘tucking up’ your caravan until spring – but you will want to reconsider when you discover the joys of caravanning in the autumn. With a history of more than 85 years - of first-class travel accommodation and an unmistakeable design. Rise of the Cool Caravan! It wasn’t so long ago that many people would make fun at the idea of a caravan holiday. We pictured ourselves in uninspiring, cramped conditions – devoid of the mod cons that make our lives more comfortable, until now! Take Your Caravan Out With The Top Down! 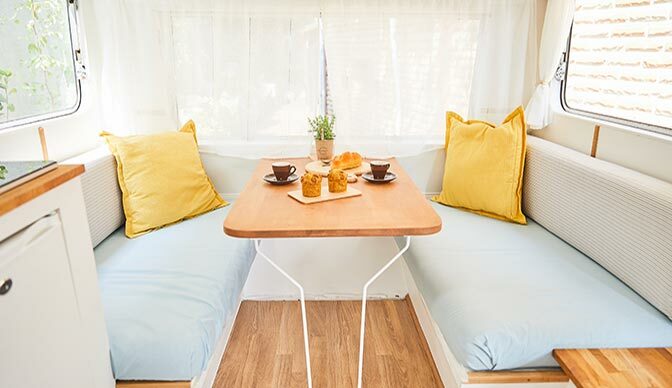 Camplify is the caravanning equivalent of home rental site AirBnB. It began in Australia in 2015, in an attempt to solve the problem of the rarely used motorhome. 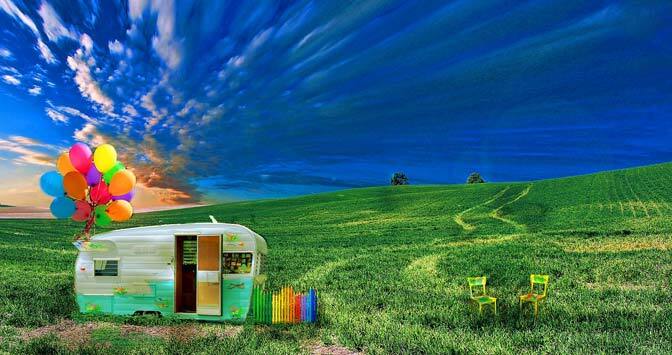 Camplify estimates that most caravans in the UK are standing empty for 330 days a year. At around £18,500 to buy, £800 annually to maintain and £350 annually to insure; this ‘budget-friendly’ holiday home is starting to sound expensive – especially if we only use it for 5 weeks of the year. After all the festive excitement has died down, the desire to ‘get away from it all’ and return to a simpler life is widely felt. If you’re tired of being repeatedly knee-deep in wrapping paper, over-indulging in rich food and endless boozy parties (who would have thought it was possible to tire of such things?) then it is likely that you have considered a winter break. If we are lucky enough to have lots of family and friends, juggling visits at Christmas often requires some expert timetabling. If your loved ones are spread around the country, why not make your multiple journeys more comfortable by travelling with your motorhome? Summer had been over long before we even noticed. Pumpkins and Halloween costumes have been in the shops for weeks and now people have tentatively turned their attention towards Christmas. As every caravanner knows, the joy of the caravan is that it is just you, your motorhome and the open road. But this freedom can only be improved and maintained with the addition of certain gadgets. Here are our top 5…. The chances are, that if you own a caravan you are very fond of the great outdoors. What if you could go a step further and do your bit to help save your friend The Planet? You’ve decided to go for it and buy your first caravan. Congratulations! Ahead of you are endless travelling adventure. You’re excited; but where do you start? At this time of year, here in the UK – many of us are yearning for spring. We’ve endured the seemingly endless, dark, cold days of winter for too long. At first it seemed appealing; wrapping up warm in your new winter coat, cosy nights in by the fire and the approaching festive season – but now we need a change. A continuation on from last month`s news item about the aspects to consider when buying a second hand caravan. This month we talk about how to find out if it is stolen or not and if the caravan you are wanting to buy is still watertight. When buying a caravan first consider that it means investing a fair amount of money in a vehicle that you will need room to house. 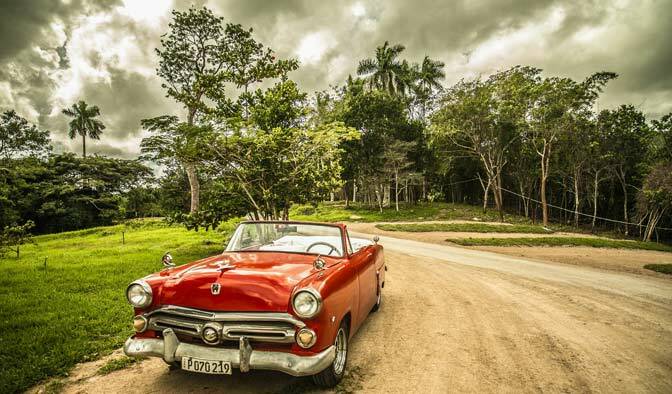 Once you have cleared these relatively small obstacles – the open road is yours; new places await and holidays will now come with a large helping of fresh air and stunning scenery. 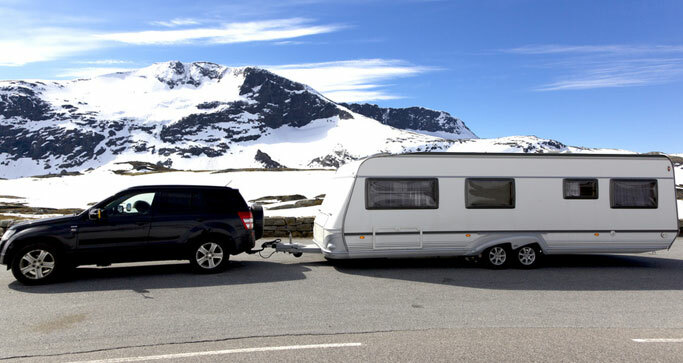 Purchasing a hi-tech GPS tracking system will let you and the authorities know where you caravan is if the worse comes to the worst and it gets stolen. Picking the right caravan for yourself is not just about it`s functionality, gadgets, comfort or size. It is important to consider the car that is going to tow it around the country and even abroad. With the sun out and the temperature rising, it is now no better a time to hook up the caravan and head off to the coast. Living in a caravan is a great way to enjoy the summer sun by the beach. The Edinburgh Fringe Festival gets underway again in August and what a great time to hook up the caravan and head off to enjoy some comedy. Every summer we hope to be investing more in sun cream and BBQ utensils than waterproofs and indoor games, but part of the thrill of living and holidaying in the UK is the unpredictable weather. National Camping and Caravanning Week was set up in the year 2001 by the The Camping and Caravanning Club to celebrate the club turning 100. Also to encourage more people to camp and use caravans and to highlight the fact that the club now had a record number of people camping and caravanning which in 2003 was just over 90,000. Since then the club has blossomed to figure nearing half a million. This rise was down to many factors including the World Tent Pitching Championships and an on-going media campaign. The Euros are nearly upon us in France and it all kicks off on June 10th 2016 with France playing Romania at the Stade de France, Saint-Denis. 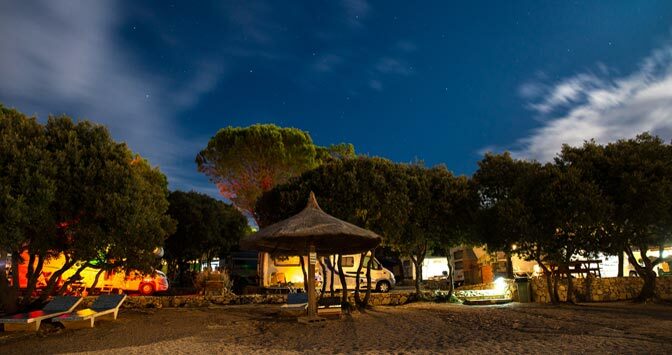 France has an array of great campsites scattered throughout the country and make an interesting choice of accommodation if you have tickets for any of the home nation`s games. Spring is nearly here and the weather hopefully is for changing and this is the time that a lot of people who love to caravan are thinking about where to go in the summer. 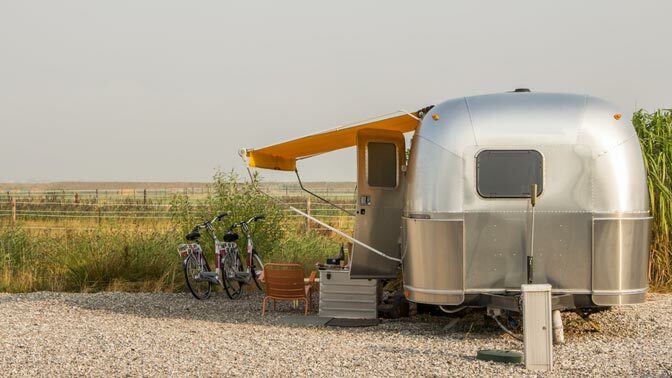 Below are some suggestions for caravan sites that are worth a visit, though it is wise to book early especially for those popular spots near large populations.